At lunch today I started to read the latest book by Chip and Dan Heath, “The Power of Moments”. They’re best selling authors of “Switch” and “Made to Stick.” I enjoyed those, so I am eager to experience their latest ideas. “… most cherished memories clustered into a brief period during our youth”? I’m not buying that! They’ll have to make a strong case for me to hop on board to that one. I’m getting used to often being the oldest person in the room, but I don’t consider creating cherished memories to be out of my reach because of my age. I may not have as many years available to cherish them, but I think making memorable moments is one of the top priorities of age … ask any grandpa or grandma about that! Connection — defining moments are social, we experience them with others. I like all of that and see no reason why creating defining moments is left to the young or restricted to our youth. I have spent some time posting those Johnson Controls Timeline stories (thanks to Ken Wirth), and more recently the issues of The Monitor (thanks to Gene Strehlow) but none of us see those as a means to get stuck in the past. They are really examples of ‘lessons learned,’ stories to recall and enjoy, yes, but also stories with a message for us. I’ve even used some of them in my mentoring activities for startups. 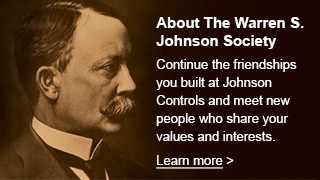 The history of Johnson Controls and all of companies and people who contributed to its success today is full of entrepreneurial lessons. I recently recalled the Penn brothers to a startup team, calling itself Microswitch. They’re really working at the ‘nano’ level, as suited to today’s technology, but the business challenges are not really all that different. I really think the Penn brothers could mentor this high tech team with good results. Those of us with a few more years and experiences may not have as many years to remember the moments we create today, but we can bring a wealth of experience and knowledge to their creation. That, of course, depends on that last element, ‘connection’ sharing our time and experiences with others. That’s when the fun begins! Best wishes to you on creating more, new ‘defining moments’ with those you cherish. P.S. The picture recalls some of my defining moments. The radio on the left was built by my dad as he learned the technology in a correspondence course from the National Institute of Technology, Minneapolis, MN around 1938. 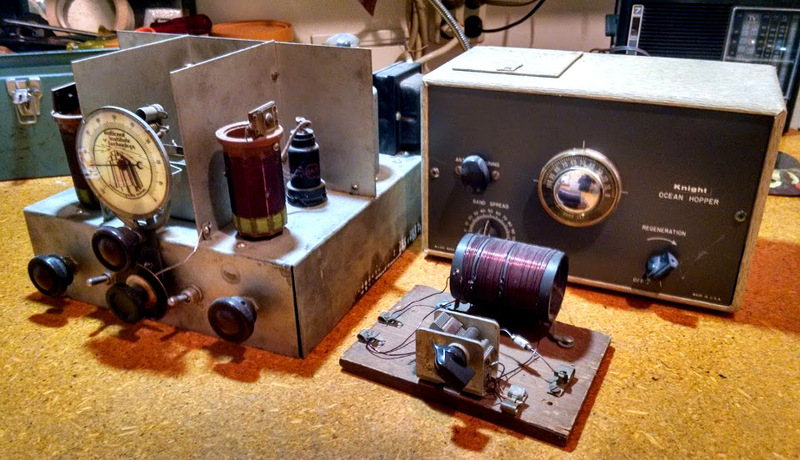 The other two were projects I built with his guidance in the 1950’s, a crystal set, and a shortwave radio. The latter two led to my interest in electrical engineering. But, dad’s set has on-going impact for me — every time I see it it reminds me to never stop learning and sharing what I’ve learned with others. That’s the exciting part. We can’t change the past, but be can learn from it and help create those defining moments in the present that will prepare conditions for a brighter future.